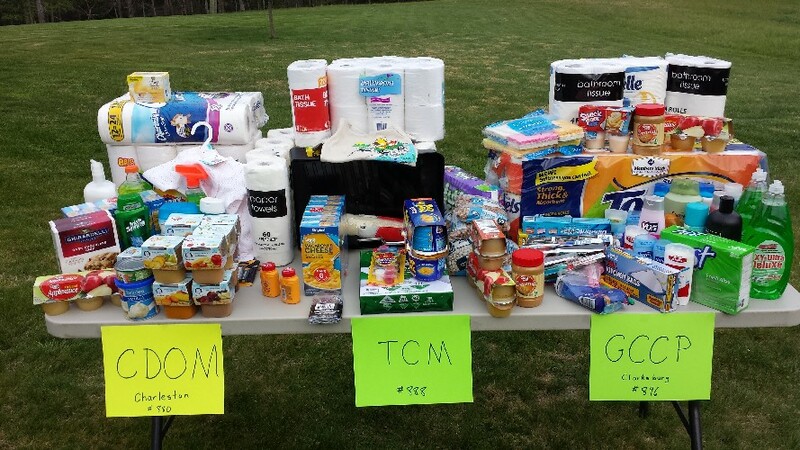 Thank you for donated items for COME! A special thank you to Carol and Ken for the quilt! 2017- 31 bags of food were donated to the Bread of Life Food Pantry as our Share the Harvest ministry. 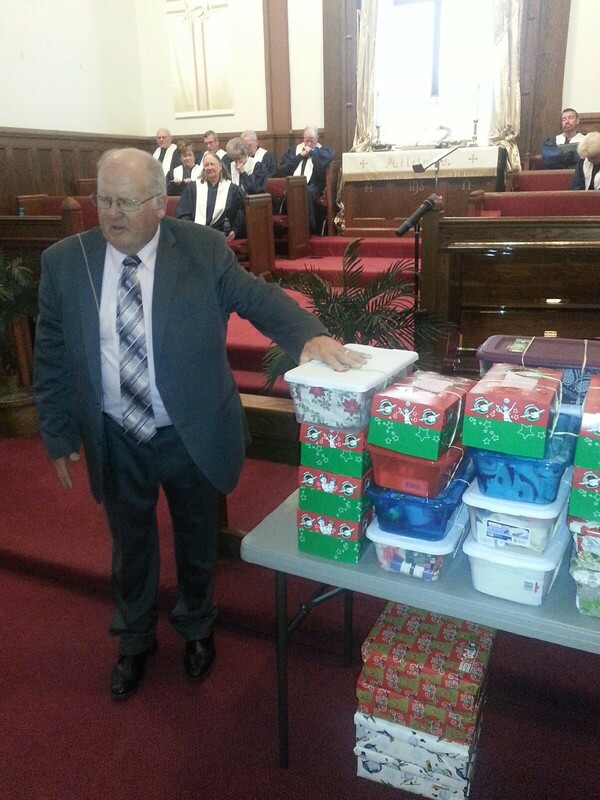 Thank you for the 44 shoeboxes we filled for children as part of Operation Christmas Child Shoeboxes for Samaritan's Purse. The 2017 Celebration of Mission Event was April 22 at Frankford UMC. Our 3 missions are Heart and Hand House, Inc., Upshur Parish House, and Volunteers in Mission. Thanks for the monetary gifts this year. May God bless those that receive these items. What is Matthew 25 Ministries? "For I was hungry and you gave me something to eat. I was thirsty and you gave me something to drink, I was a stranger and you invited me in, I needed clothes and you clothed me, I was sick and you looked after me, I was in prison and you came to visit me,... Whatever you did for the least of these brothers and sisters of min, you did for me." Aluminum Cans (Please crush) Cans are collected and then sold with the cash going to support Nicholas/Webster County Habitat for Humanity. A ministry providing safe and affordable housing for residents of our community. Bring your aluminum cans and place them int he recycling box (inside the emergency stairwell. When a truckload is collected a volunteer drives them to a local recycling center to be sold. Pop tops: Pop tabs or pull tabs off cans collected benefit Ronald McDonald House , Charleston. This is a safe place where families of young people under care of the CAMC Children's Hospital can stay for little or no money. The Ronald McDonald House is within walking distance of the Charleston Area Medical Center. Separate the pop tops from your aluminum cans and deposit them in the container on the top shelf of the coat rack. The tops will be delivered to Charleston when the collection container is filled. This helps to meet the operational need of the house. Cut the labels neatly from the can or box and place them in the collection container. They will be bundled and sent to Scott's Run Settlement House. Used Ink Cartridges: Benefits Tyrand Cooperative Parish and Habitat for Humanity. Each printer cartridge has an approximate value of $2.00 when they are recycled through a corporate sponsor. It also reduces the amount of cartridges going to our local landfills, saving space and saving natural resources. Used ink cartridges of all brands and types are recycled. This means all sizes and types, (copy machine, fax, or printer) are accepted. Please deposit in the marked container on the top shelf of the coat rack in the rear narthex. Troop Care Packages: The war on terrorism has called many of our men and women to action. Many of our families are effected by those they love serving in the US Armed Forces. Items collected and sent overseas show these brave men and women that we care and they are in our thoughts and prayers. 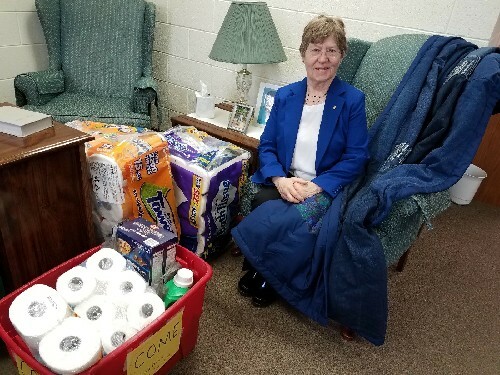 If you have someone you would like to send a care package, please contact the church office at 304-872-3221. College Student Care Boxes and the Adopt a Student program: We have many students away at college. Through the "Adopt a Student Program" members and friends of the church have an opportunity to stay connected with the student and to provide small gifts and words of encouragement throughout the school year. This ministry bridges the gap between the faith community and our students. Contact Kendra Bell through the church office 304-872-3221. "When I was a stranger you welcomed me"